We follow the AQA specification at Bilborough Sixth Form College. 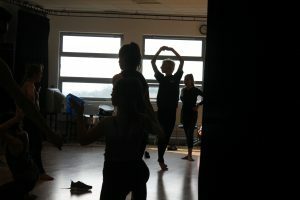 You’ll be taught in a dedicated dance studio, with a sprung floor, mirrored walls, and portable sound and lighting equipment. Practical exams take place in our wonderfully equipped Theatre. It is desirable, but not essential, that you have dance experience – and you must show enthusiasm, passion and a willingness to experiment with different styles. 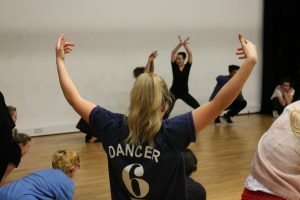 To strengthen your love for dance we facilitate workshops with companies such as Rambert Dance Company, Netherlands Dance Theatre and West End performers and theatre visits throughout the year, such as Move It, Amsterdam and London. If you’re serious about a career on the stage, or behind the scenes, this course may be taken alongside Drama and BTEC Performing Arts Level 3 Extended Certificate. To study Dance at Bilborough, you need a grade C/4 in GCSE English. We are always happy to guide you on the most appropriate next steps to help you achieve your dreams. Our department has good links with Rambert Dance School, London Contemporary Dance School, Funky Studios and other conservatoires around the country. You’ll have the chance to work with professional practitioners, in Musical Theatre and Contemporary Dance and we encourage you to get involved with the thriving dance scene in the Midlands. 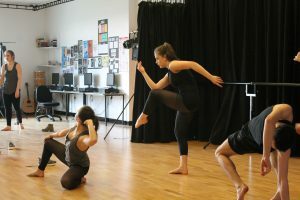 Some of our students go on to study Dance or Performing Arts at specialist institutions or universities, such as Urdang Academy, Bird College, The Place, LIPA, London Studio Centre and Performers. These degrees or professional qualifications can lead to careers in the arts sector both on and offstage – perhaps you might become a performer, producer or choreographer, events management expert, public relations and communications specialist, leisure and tourism worker, health and fitness expert, community worker or teacher. The course is a two-year A-Level programme. Kynam Moore graduated from London School of Contemporary Dance having worked with the Jasmin Vardimon Company. He is a freelance dance practitioner who has recently worked for Shaun Parker. You can read his story at This Is Nottingham. Jessica Hatfield studied at Northern Contemporary Dance School before performing with Edge, London Contemporary Dance School’s postgraduate performance company. Emily Bolton studied Dance at De Montfort and then went on to establish her own community dance company working in the East Midlands. Lauren Moore studied Dance at Coventry University then continued postgraduate study at Mapdance. She is now embarking on a teaching career. Tom Yates and Dot Fildes are studying Musical Theatre at URDANG Academy.